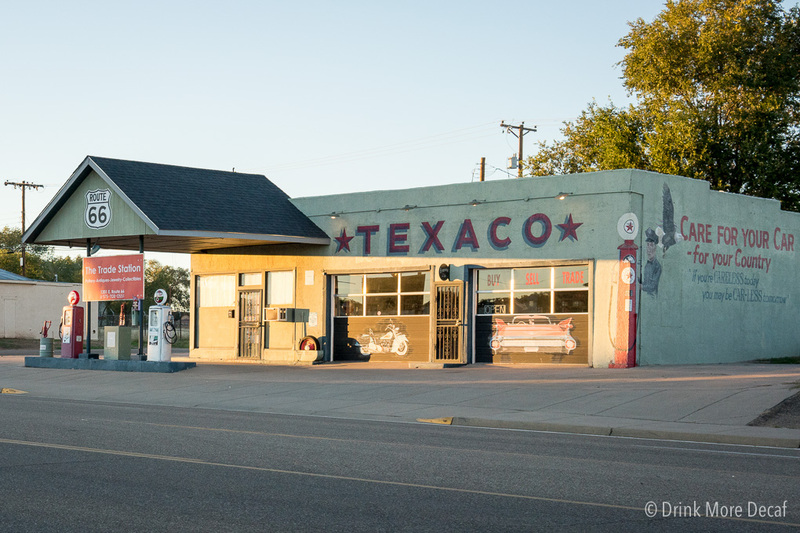 We started the day in Amarillo, Texas. Our truck and RV were desperately in need of being washed, so we planned only a short drive today because we didn’t know how long that would take. 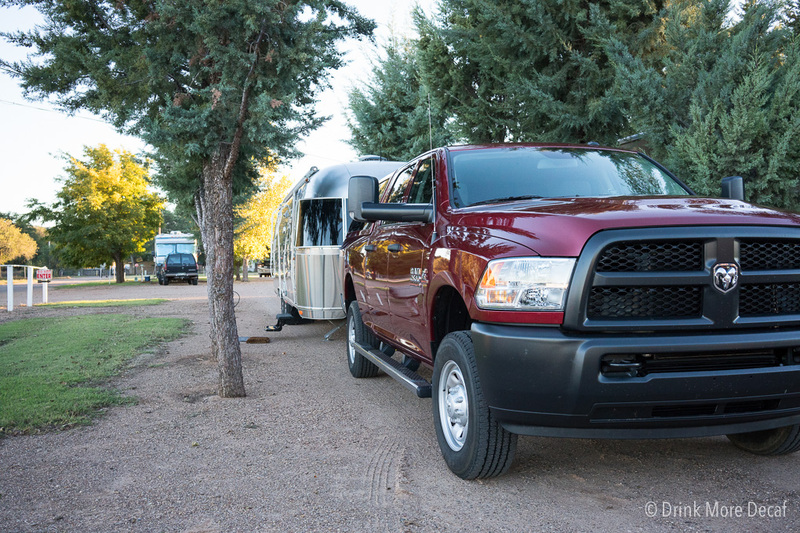 Blue Beacon Truck wash is handy for RV’ers because you can keep your vehicles hitched together and run them through as though it was an automatic car wash, but there are people managing the sprayers. That’s very useful because you can also let them know to avoid spraying directly near the window seals, or any area of your rig that is particularly sensitive. The wait time took about an hour, during which you stay in your vehicle and you’re sandwiched between semi-trucks, so the decision for the wash is a committed one! While we waited we watched the ducks swimming in some nearby water (they are hard to see in this photo, but they’re there). While the truck was being washed it got quite loud, and Frodo was a little concerned. 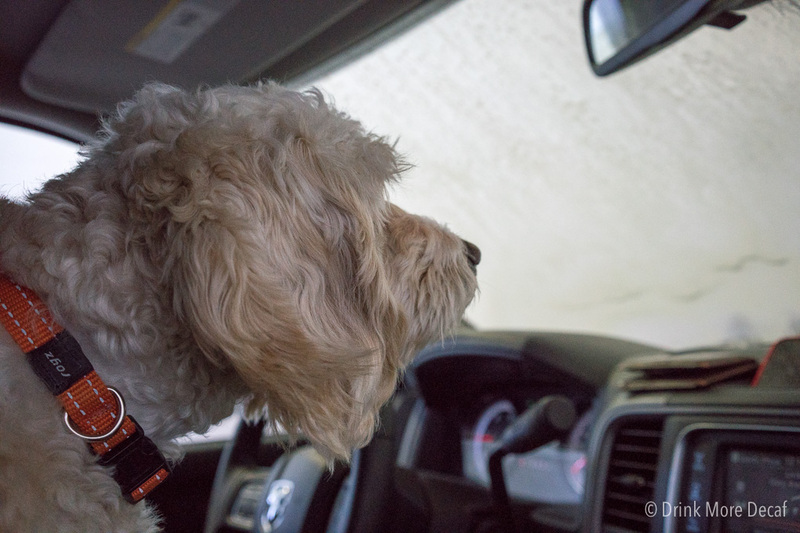 He was basically okay, but I’d recommend if you are traveling with a dog who does not handle loud noises well, or is scared of thunder, you may want to walk your dog during the actual washing of your vehicle to keep your pup happy. As far as our experience with Blue Beacon, it was definitely a good one. They did a great job and now our rig is shiny and pretty again (and no longer smelly)! The running boards and wheel wells were caked with muck and both are completely clean now. I’m happy! 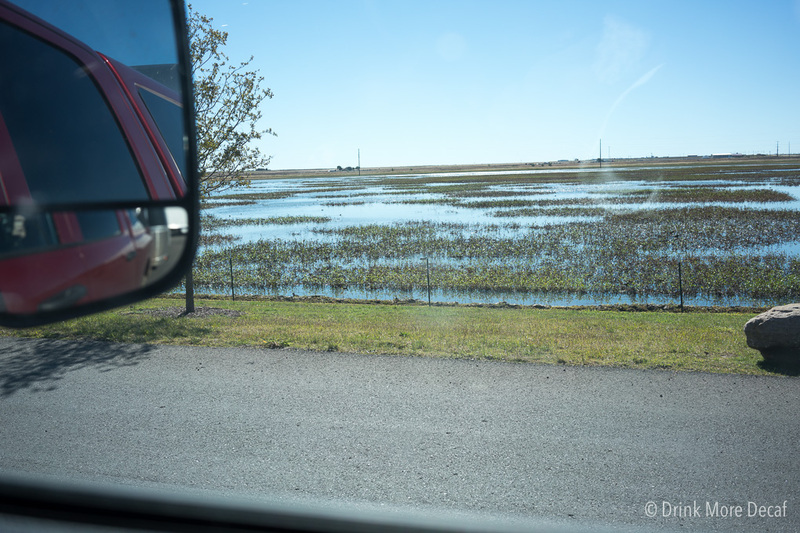 By the time we had both vehicles clean, it was time for lunch and we hadn’t even traveled more than a few miles. It was a great day to plan a short migration path! 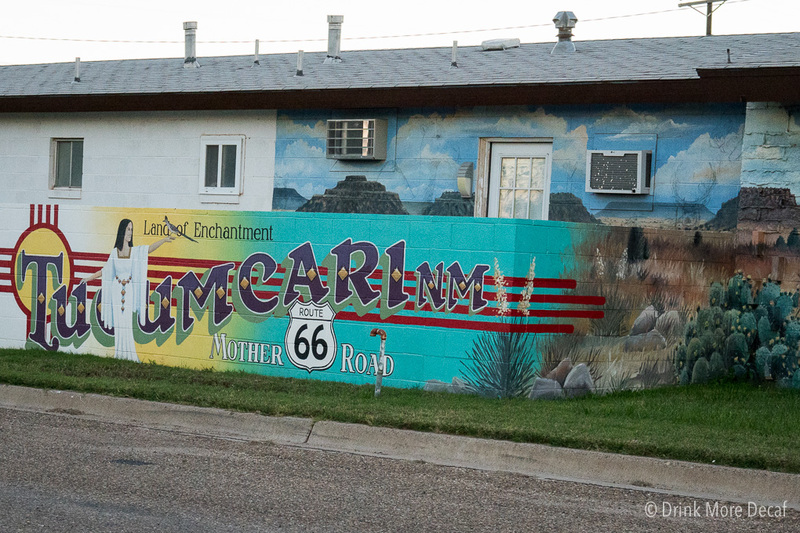 It wasn’t long before we passed through the “Welcome to New Mexico” sign and discovered Tucumcari, New Mexico on Route 66. Most business here look like they have slept through the last few decades. It’s a little on the eerie side, but also quite cool. 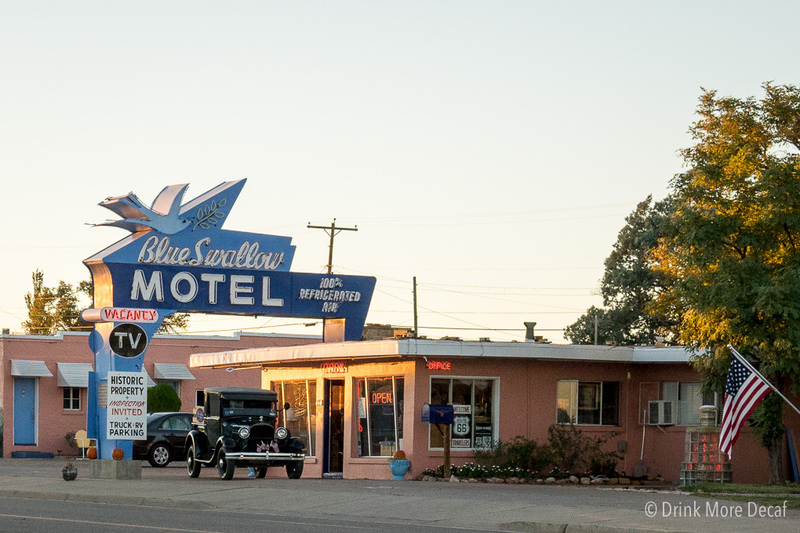 Check out that car in the front of the Blue Swallow Motel! 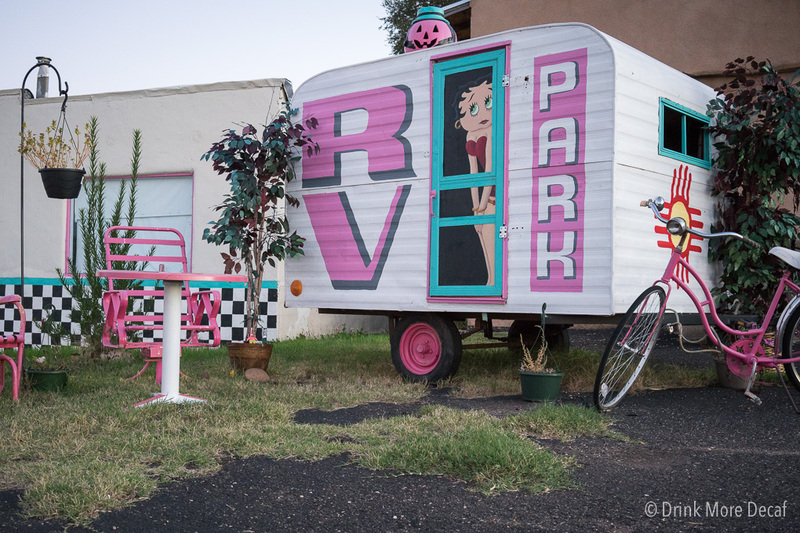 And this… (this appeared to be free-standing art work, not related to the nearby businesses). 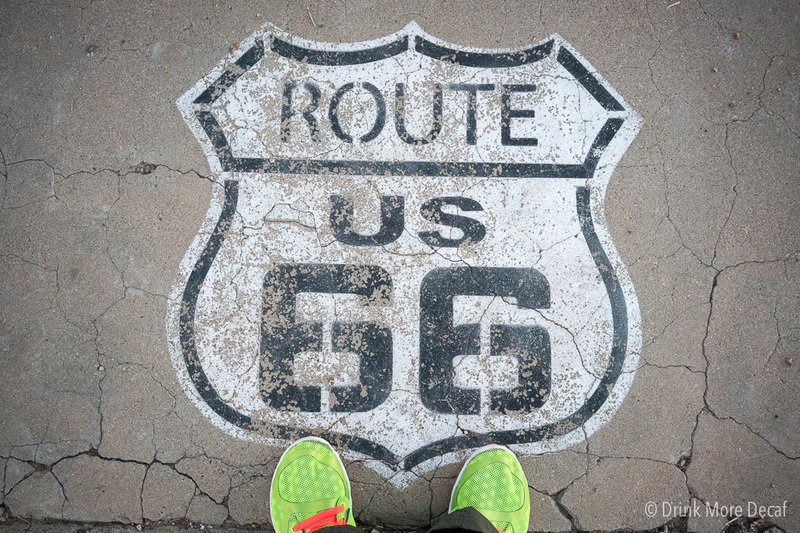 Tucumcari, New Mexico: Route 66 – I was here. Very nice capture of Rt. 66 icons. You’re welcome. 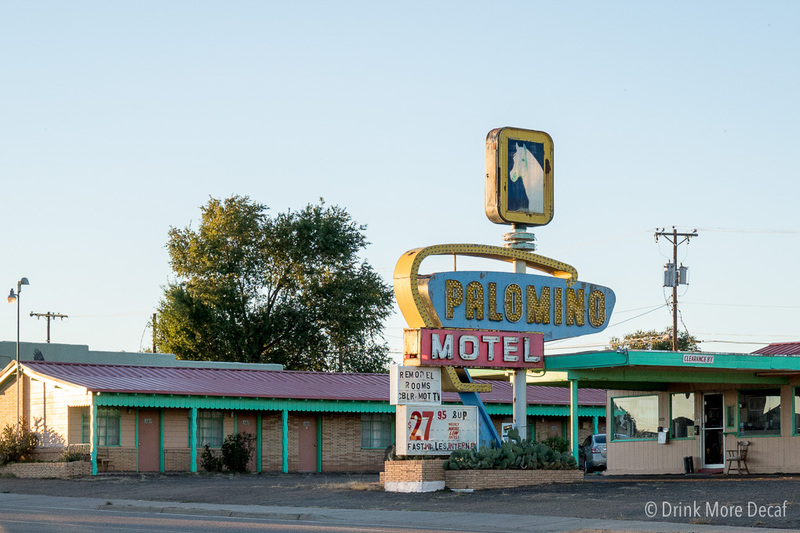 I hope to see more of the Rt 66 images.